Chartwell IT is an IT services company which helps businesses get the best out of their IT systems. They offer a pragmatic and down-to-earth approach to ensure that your company can take advantage of what your IT systems have to offer in the most cost-effective manner. They have particular expertise in the Builders Merchant industry and many years experience configuring, implementing, developing and supporting the Kerridge K8™ and Rev7™ systems. They can provide Kerridge consultancy services that meet your needs and deliver benefits quickly. Peter has over 20 years experience as an IT professional within the Merchanting, FMCG distribution and CRM software industries. 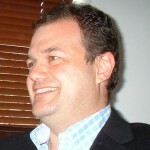 Most recently in his eight years as Head of IT for Plumbase, Peter has earned a reputation for building, developing and leading professional IT teams working collaboratively with the Finance, Operations and Sales and Marketing functions at all levels of the business.